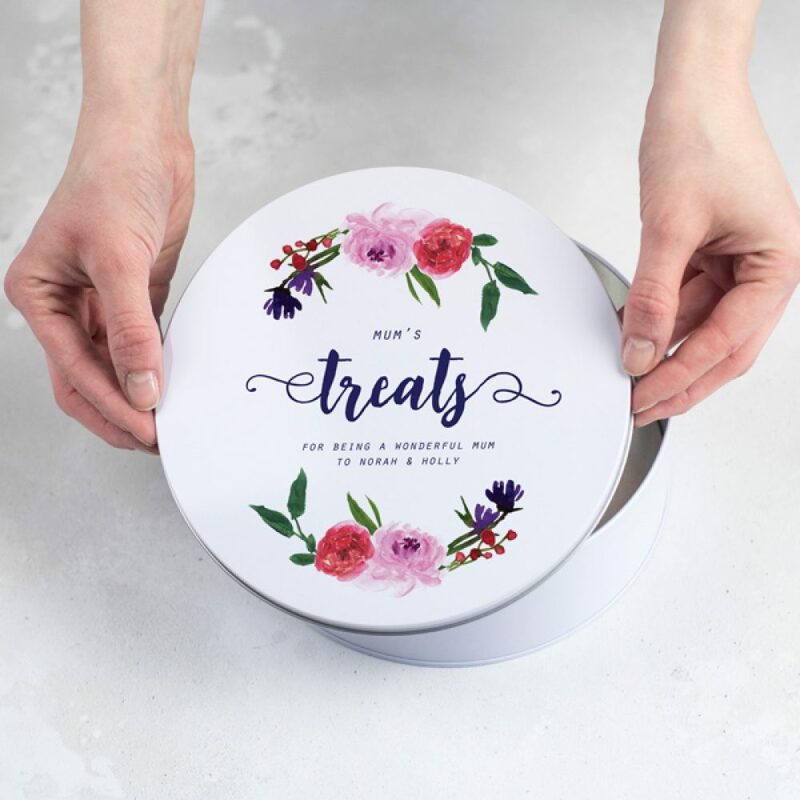 Fill this Personalised Floral Treats Tin with all their favourites and make their day. 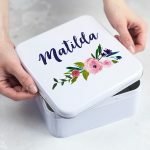 The round white tin features a contemporary watercolour floral design on the lid, personalised with your words in a modern calligraphy font. A personalised Personalised Floral Treats Tin, designed with a delightful watercolour floral design. 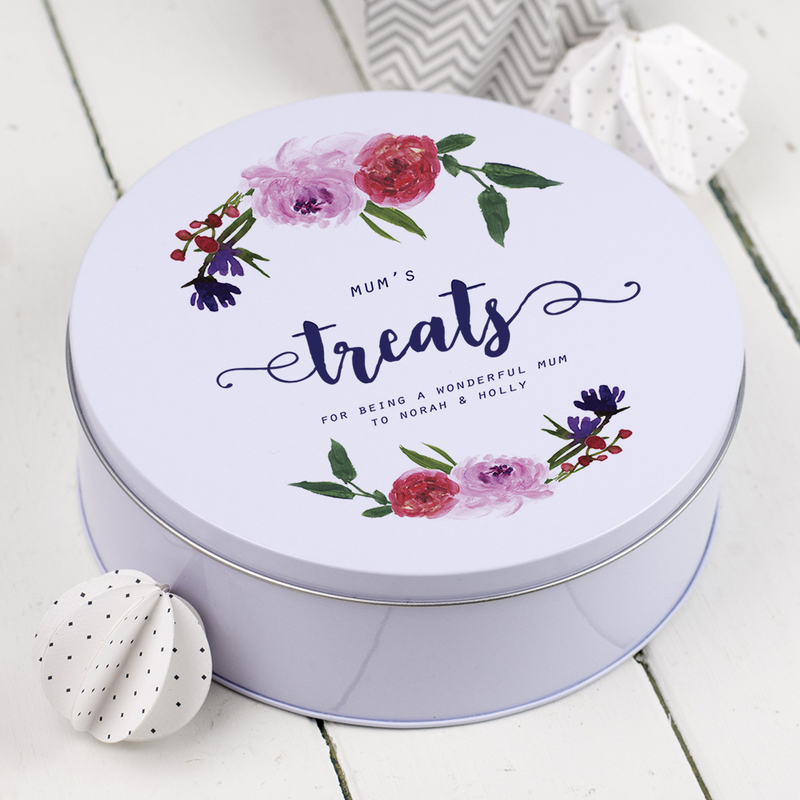 Featuring a charming watercolour effect floral design in rich peony pinks and inky blues, this Personalised Floral Treats Tin makes a wonderful Mother’s Day gift. 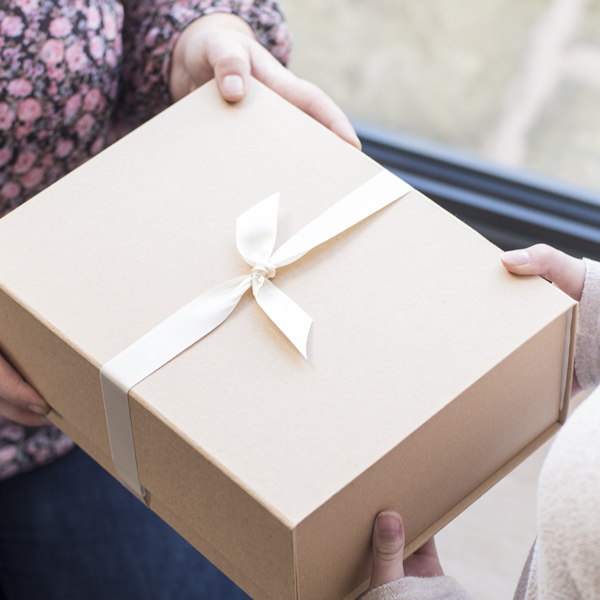 Personalise with your own wording and fill with their favourite treats to create a wonderful gift. The tin will be treasured for years to come. Personalise with an individuals name, a couple, a house or family to make this a truely personal gift. 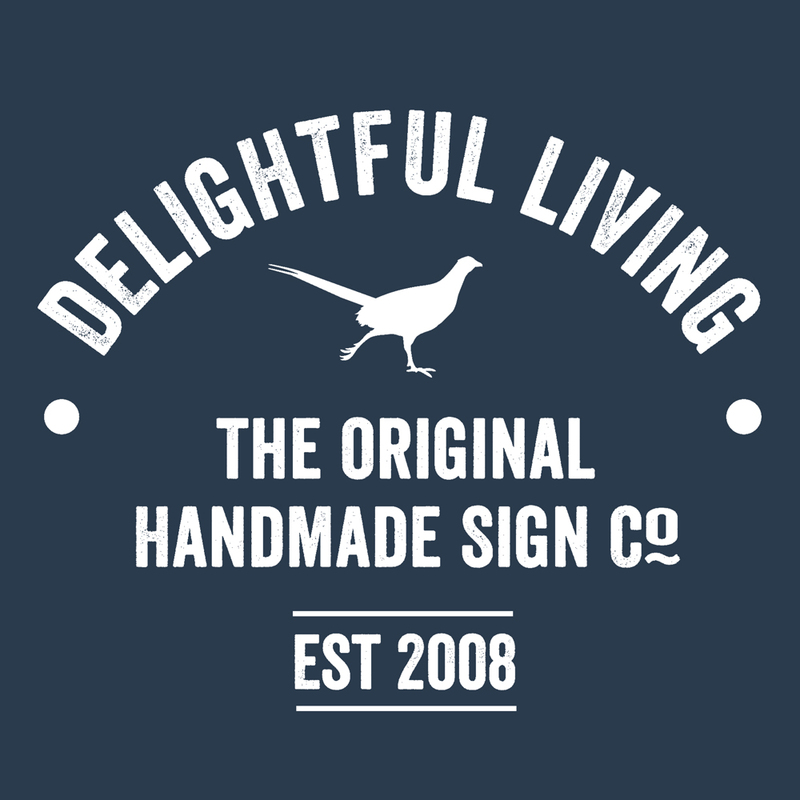 The personalisation is printed in a rich indigo blue colour to complement the colours in the floral design. 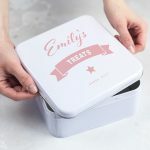 The tin is the perfect size to store biscuits, cakes, sweets and treats in.